This year has been crazy busy on a personal level. My family and I sold our house and finally moved into a new one. My studio is in the rebuild process but will be back better than ever!!! I am looking forward to working on some new music throughout the remainder of the year (as God sees fit). I am planning on releasing some new beats for sale and some free remixes! Stay tuned and be blessed! New Single – Out Now! What’s up Family?! Its been a while but I have some new music out! I was blessed with the opportunity to collaborate with my boy – the very talented Kevin Moore. He is an up and coming Soul/ R&B/ Funk Indie Artist and Worship Leader. We just released a new single entitled “I’m Not Alone” featuring Brenden McPeek of the Soul Reformation Band. It came out great and is now available on iTunes! This should hold you over until my next release! Please go support, leave us some feedback on iTunes and share it with your friends on all social media platforms. We appreciate your support and will continue to keep creating! Until next time – God Bless! More new music coming real soon! Happy New Year and Free Instrumentals! What’s up everybody?! I hope you all have had a great New Year so far. Man the time is flying? Especially when you have kids! I have been really busy with life lately but the new music is coming slowly but surely! I have some surprises in the pipeline right now. Bare with me, it is seriously worth the wait. I have a few things in the works but more recently, on February 5th, 2014 for the 1 year anniversary of Sound Portrait- I released the instrumentals to my collab with Lyrics One. You can download it for free on my band camp page. I have some other things in the works too! So stay tuned and enjoy the free stuff! Also, If you needs beats, shoot me an e-mail- they are only submitted this way from now on. Thanks & God bless! What’s up family?! I hope all is blessed! I have been working hard on some new music. I have a new single with my homie Kevin Moore that should be releasing next month! This song will blow you away. This brother can sing!!!! Stay tuned and be on the look out for that. (Check out his music by clicking on his name above). Until then, enjoy a remix I did last month for a Reach Records remix contest of Andy Mineo’s song Ex Nihilo… Hopefully the label picks it for the remix album they are releasing… I always have “Exclusive” beats available for any and all artists, e-mail me at dsantos4nocomp@yahoo.com for samples and pricing on the “Exclusive” beats. I will not have any beats for sale posted on SoundCloud any longer, strictly by e-mail request only. I am also reserving recording slots for artists looking for recording services and mixing services. Please e-mail me regarding details and pricing. Keep checking back because I am planning on hopefully releasing a new album within the next few months! What’s up family?! I hope all is well. I can honestly say that I have really been enjoying this summer with my family! I was able to take a week off of work in July and just chill. Family is a blessing no doubt! I have a couple new things brewing on the music front. I had the blessed opportunity of producing, recording and mixing a song off of JGivens new album called El vs.Envy (Song #6 to be exact). The entire album is really dope and refreshing! You can purchase a copy here #ElvsEnvy. I have also working with my homie Kevin Moore (Funk/ Soul). We have been in the studio over the last month and are cookin’ up a new single for you! Stay tuned! I am also planning on releasing the instrumental version of my EP collab with Lyrics1 #SoundPortrait…who doesn’t love instrumentals? Last but not least, if you are looking for beats or to collaborate on something, check my soundcloud page here. I also have recording packages available for any budget, which include production/ beats, recording and mixing services. Alright time to get back to it. Until next time y’all- God bless! What’s up family? I hope everyone is enjoying Sound Portrait! 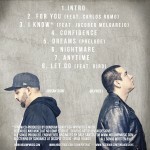 If you still have not downloaded it here is the link…#SoundPortrait, best of all its FREE! Let us know what you think?! Also, check out my boy Lyrics One’s Music Monday posts from the last month or so here on his soundcloud page- more free music for your enjoyment! He has been grinding it out in preparation for his next project a mixtape called Paint Drops. Keep checking his soundcloud and facebook pages for more info on his new music. For those of you who are new to the site, here are some links to my pages with my past releases… My collab/ instrumental album STAGES from 2010 (free DL) and my soundcloud page with beats for sale/ free and other collab’s I have done. I have been doing a lot of mixing and engineering as of late (still keeping my chops up). I look forward to releasing some new music this year too! Stay tuned and keep checking back for exclusives and goodies in the months to come. You can follow me on twitter and facebook. Drop me a line and say what up. Stay blessed fam! SOUND PORTRAIT IS OUT NOW! GO DOWNLOAD!! 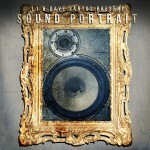 My new EP project Sound Portrait with my boy Lyrics 1 aka L1 is out now! Go to (here) noisetrade.com to download it for free! Here is the cover art for you all to enjoy. Please leave us feedback and contact us if you would like to do some shows with us! 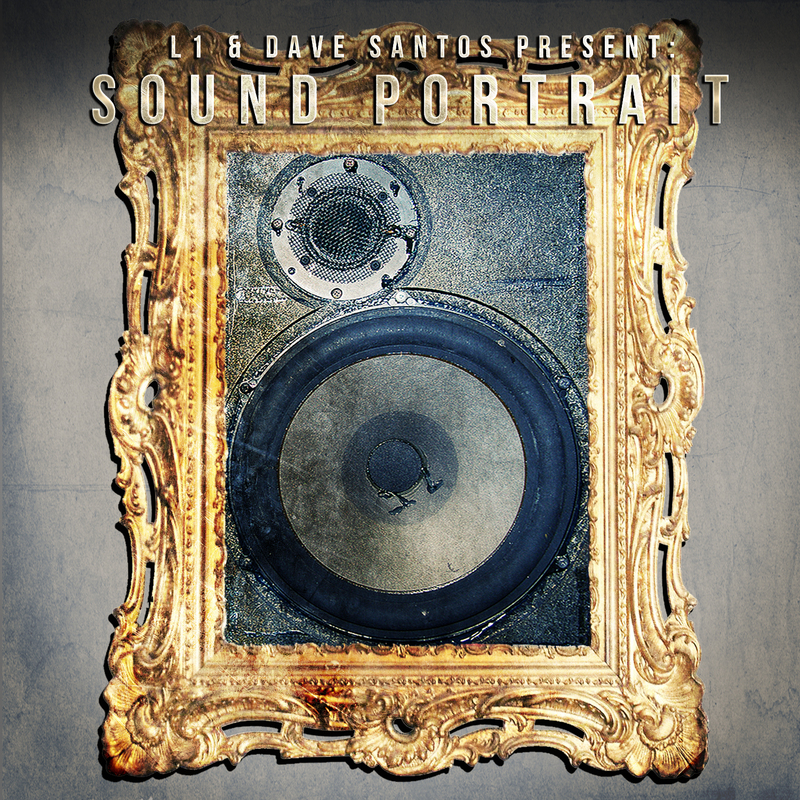 My collab project with Lyrics One entitled Sound Portrait is releasing on February 5th, 2013!! This EP will be a free download!! See the album cover below… Keep checking back here for details on the download. We also shot some behind scenes videos for this project here. I am excited to finally share new music with the world! I also just posted a batch of new beats on my soundcloud. Please e-mail me at dsantos4nocomp@yahoo.com for beat prices… I look forward to releasing a lot of new music this year! Always keep your eyes on Jesus!